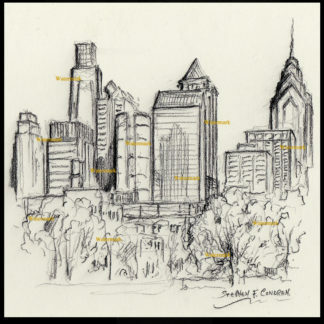 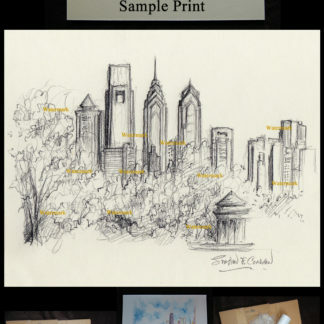 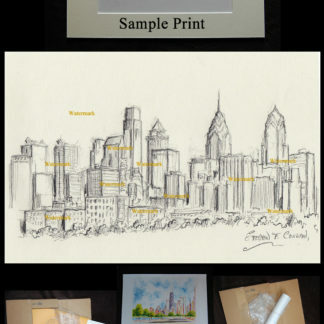 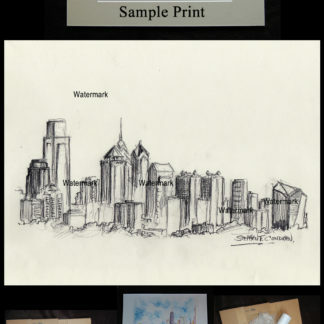 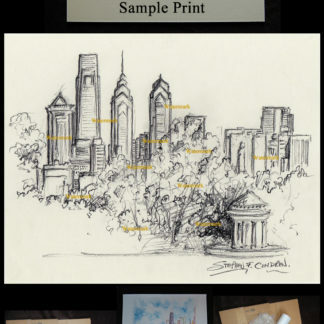 Philadelphia skyline drawings #082Y • Condren Galleries Ltd.
Philadelphia skyline drawings #082Y are metropolis cityscape sketches with prints and JPEG & PDF image scans for reproductions also with a 20% off coupon by artist Stephen F. Condren, BFA-SAIC. 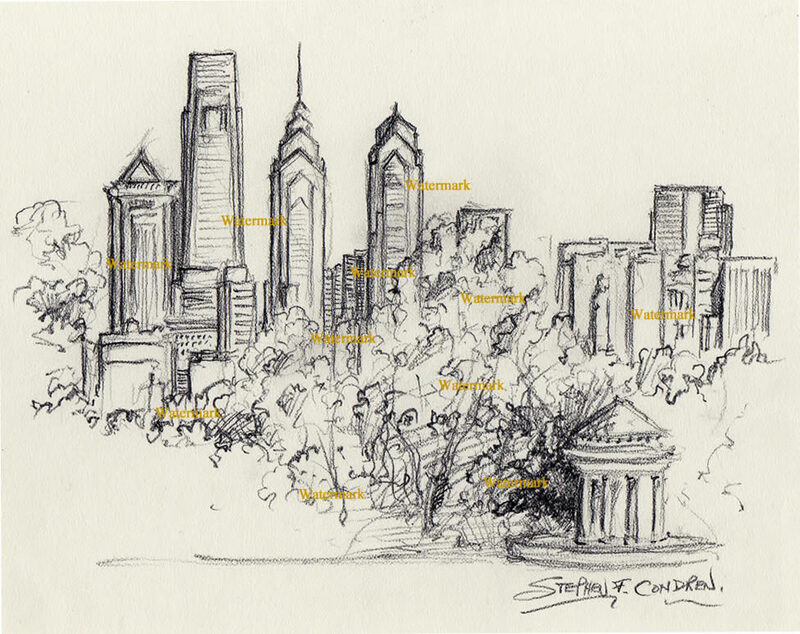 Because Philadelphia is great, it’s skyline is great. 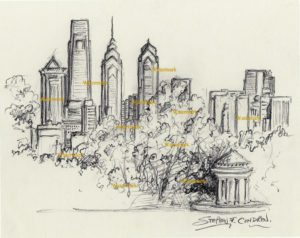 Charcoal skyline drawing of downtown Philadelphia in FDR Park by artist Stephen F. Condren.